Happy those who are in love and if you are, you can get so creative in giving gifts! One idea is to have your sweetest photo together on a jigsaw puzzle! And play together while arranging the pieces and tell stories about how you guys met until you finally complete your love story! Awww... being in love is the greatest feeling ever! 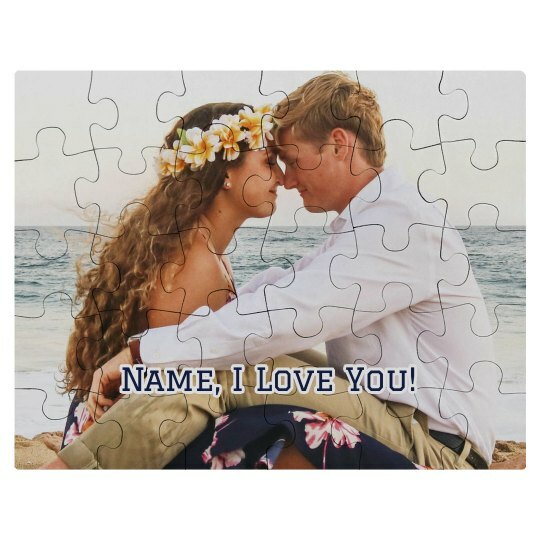 Custom Text: Name, I Love You!